One of the most common and uncomfortable digestive issues can be treated with medication and diet changes. What helps constipation? Read about possible cures here. What helps constipation? The remedies discussed here will help with the pain and bloating of this troubling condition. How does constipation occur? As undigested food passes through the colon, water is absorbed to form the solid waste (stool). If not enough water is removed, diarrhea symptoms will result. If too much water is removed, the stool becomes hard, dry, and difficult to pass out of the body—constipation. Many people believe they are constipated if they don’t have a bowel movement every day. In fact, the frequency of bowel movements considered “normal” can range from three times a day to three times a week. Does exercise really help us avoid becoming constipated? Science shows exercise might actually have an impact on the bacterial composition of our digestive system, helping to prevent disease and maintain overall good health. Read more in The Benefits of Exercise for Digestive Health. Constipation means passing small amounts of hard, dry stool, usually less than three times a week, and straining to have a bowel movement. Other symptoms are bloating, general discomfort, and sluggishness. Like diarrhea, constipation is common and usually lasts only short time. Even so, constipation accounts for about 2 million doctor visits each year in the United States. A low-fiber diet, not drinking enough fluids, and lack of exercise are common causes of constipation. Plus, many medications can cause constipation; among them are pain medications (opioids), antacids that contain aluminum and calcium, calcium channel blockers (for lowering blood pressure), anti-Parkinson’s drugs, antispasmodics, antidepressants, iron supplements, diuretics, and anticonvulsants. So what helps constipation? In most cases, it’s treated with lifestyle modifications, including increasing activity, daily fluid intake, and the amount of fiber (from beans, fruits, vegetables, or grains) in the diet. Laxatives are usually not necessary for mild cases of constipation. However, if lifestyle changes don’t help, the doctor may recommend laxative or enema use for a short time. 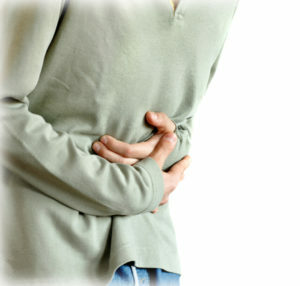 A change in diet that emphasizes fruits, vegetables, and grains will help constipation. Bulk or fiber laxatives (Metamucil, Citrucel, Fibercon, and Benefiber) serve to hold water in the intestines and soften stool. Patients using these must drink at least eight glasses of fluid (water, juice, milk, coffee, or tea) per day to avoid side effects. Osmotic laxatives (Milk of Magnesia and MiraLax) cause the intestines to secrete water into the colon to soften stool. These also require adequate fluid intake. Stimulants (Correctol, Dulcolax, and Senokot) cause intestinal muscle contractions to help move the stool more quickly. Long-term use is not recommended. adequate fluid intake, antidepressants, benefits of exercise, bloating, blood pressure, bowel movement, bowel movements, calcium, calcium channel blockers, causes of constipation, coffee, constipation, constipation remedies, constipation treatment, diarrhea, diarrhea symptoms, diet, digestive, digestive health, enema for constipation, exercise, exercise for digestive health, fiber, food, good health, health, home remedies, home remedies for, home remedies for constipation, impacted bowel, iron, iron supplements, lowering blood pressure, magnesium, milk, muscle, pain, remedies for constipation, side effects, stool softeners, supplements, vegetables, what helps constipation, without drugs.